Diatomaceous earth (DE) is a natural product that’s made up of fossilized remains of small, aquatic organisms referred to as diatoms. Composed of the cell walls or shells of single cell diatoms, it easily crumbles to a fine powder. As a matter of fact, diatom cell walls are made up of biogenic silica, which usually comes in the form of a white powder. It’s used in water filtering and food manufacturing and is one of the natural therapies you can use to help eliminate free radicals, viruses, insects, parasites and other harmful organisms. It does so by binding to them and drying them out. 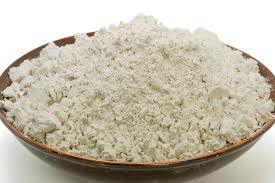 Diatomaceous earth is also capable of improving the body’s use of calcium, not to mention helps improve bone mineralization, protect joints, and fight the effects of aging. As if that weren’t enough, there are several other benefits of DE you should know about. Here are a few of them. DE works like a natural detoxifying agent within the body, killing parasites and viruses that can contribute to illnesses while also helping clean the blood. In addition, it’s inexpensive, simple to use and much safer than most store-bought detox products or plans. Some of the benefits of using DE internally include lowering odors, helping to curb gas, cleansing the digestive tract, boosting liver function and absorbing harmful toxins within the blood. A study published in the Oxford Journal of Poultry Science found that DE has the potential to be an effective treatment to help manage internal parasites. What’s interesting is that this was observed in hens that produce organically raised, free-range eggs. Giving two breeds of commercial egg-laying hens DE improved production of their eggs and egg quality compared to control groups, effectively working as a parasite cleanser. Since it has natural abrasive qualities and helps kill parasites, DE is used in many toothpastes, skin exfoliators, polishes and skin scrubs. Just like other beneficial clays — such as bentonite clay — it dries out harmful toxins and leaves behind clean, smoothed skin with little to zero side effects. Plus, it seems to have anti-aging effects by helping with the use of calcium in forming strong bones, nails and teeth. DE is also used in many filtration products, because the chemical composition of it makes it a great filtration aid. It’s able to filter very fine particles that otherwise pass through or clog filter papers. This makes DE a common product used in water filters to help prevent tap water toxicity as well as in purification practices for fish tanks. It’s also important for manufacturing wine, syrups, sugar, and honey without removing or changing the color, taste, and nutritional properties. So, there you have it. These are just some of the known benefits of DE used as a natural homeopathy treatment or even using it for things like purifying your drinking water. Just make sure you know what you’re doing when it comes to using DE as it may not be the best thing for your body to take in.